You are correct and I mistyped, edited! Nice haul carni! The only thing that I find odd about jazz is his feet as I'm sure his toes should be slightly bigger. Can lockdown do his cannon head mode? ZeroWolf wrote: Nice haul carni! The only thing that I find odd about jazz is his feet as I'm sure his toes should be slightly bigger. Can lockdown do his cannon head mode? Yeah Jazz should have bigger feet but due to the transformation (the feet end up pointing straight down in car mode) there really isn't any clearance room for them to have been bigger. Don't think Lockdown can do head cannon cos his weapons here are a hook and a sword. But if anyone knows different then feel free to share. Car modes are nice and shiny. Weapons have places to attach but as usual look a lil silly. Jazz is one of the smallest Deluxe cars ever made I reckon. I'll need some time to play with them some more before I make my final decision as to how much I like them but they're pretty cool so far. Thanks for sharing your thoughts a shame about the gun head but I still really like the look of him and his alt mode. ZeroWolf wrote: Thanks for sharing your thoughts a shame about the gun head but I still really like the look of him and his alt mode. Yeah I think he's an big improvement on the older toy despite lack of masked head and gun attachment for it. 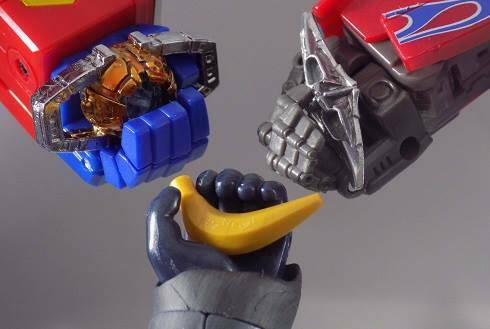 Maybe there will be third party accessories made like a lot of other figures get. Jazz may be small but he's very cool. I get reminded of an old school spaceman character sorta thing for some reason with all the curves, silver, visor and the gun. Even though he's so small and that I paid £29.99 each for him and Lockdown (when they are now in some branches of Forbidden Planet at their correct RRP £22.99) I don't feel all that bad about having spent too much. Lockdown's cool and got loads of detail, and Jazz is a charming shiny lil dude. As we announced in the review for Megatron yesterday, Seibertronian PrimeVsPrime has also uploaded a full video review of the Transformers Studio Series 12 Voyager class Brawl, taking on his incarnation from the 2007 live action movie (as the backdrop also shows) in which he was also mistakenly labelled as Devastator. Check out the embedded clip below, featuring transformation, poses, and comparisons, and share your thoughts in the Energon Pub discussion boards! In this review, I take yet another early look at the brand new Studio Series Voyager Class Brawl from Wave 2! I give you a detailed look at both the robot-mode, transformation, as well as the tank mode. 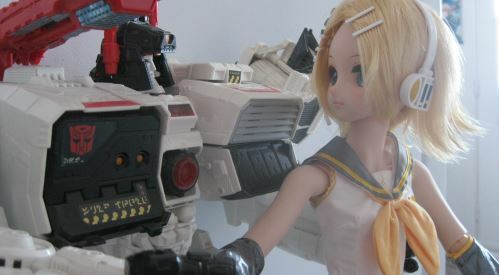 I also compare the figure to a multitude of other Transformers including the 2007 Leader Class Brawl! Stay tuned for my next review of the Studio Series Jazz & Lockdown! You know, looking at that shot of Brawl in the news post's thumbnail from a distance, it dawned on me that that SS Brawl's silhouette kinda reminds me of that of G1 Bruticus. Triangular-ish torso, thick chunky lower legs, twin back-mounted cannons pointing upward, heavily armed arms (kinda like Ruination's two big combined gun weapons). All he really needs is a more Bruticus-ish head and colors and he'd made a pretty decent non-Combiner Movieverse Bruticus (funky-colored tank mode notwithstanding). Sabrblade wrote: You know, looking at that shot of Brawl in the news post's thumbnail from a distance, it dawned on me that that SS Brawl's silhouette kinda reminds me of that of G1 Bruticus. Triangular-ish torso, thick chunky lower legs, twin back-mounted cannons pointing upward, heavily armed arms (kinda like Ruination's two big combined gun weapons). All he really needs is a more Bruticus-ish head and colors and he'd made a pretty decent non-Combiner Movieverse Bruticus (funky-colored tank mode notwithstanding). Maybe "Bruticus" was the wrong name he was supposed to have in stead of "Devastator"? Just a couple pics for funsies and if you folk want to see comparisons and such. Lockdown Vs Bumblebee (cos I follow Mark Ryan on Twitter, not just for Transformers but cos the ol' Robin of Sherwood show he was in from the 80's is one of my all time faves). Lockdown has a ton of really nice detail. The upper arms are a tad confusing cos they seem to be transformed differently in various stock photos and not 100% sure which is correct (I should probably just look at the instructions but I have fun transforming these without and both Jazz and Lockdown are very easy to change into cars and back). Also Lockdown has a chest piece you have to push out a bit from within the back to make his front a lil less flat. I didn't notice that when I first took photos but I got it now (makes a satisfying click sound too). Lockdown's face sculpt is superb. I did pose him with TLK Optimus Prime (to re-enact battle from end of AoE) and he's a bit short for that but eh it'll do fine for the cheapest option other than huge third party figures like Peru Kill and such. Jazz and Grimlock. Just having fun posing the smallest figure in the line with the largest. Technically Grimlock should be even bigger than he is but whatcha gonna do... Jazz is tiny (as is accurate to the movie scale) but I'm finding him so much fun. Here's the big question, though. Can Studio Series Jazz be separated at the waist so that Megatron can have two pieces of him instead of just one? Wolfman Jake wrote: Here's the big question, though. Can Studio Series Jazz be separated at the waist so that Megatron can have two pieces of him instead of just one? Not easily. All his joints in there are pinned. 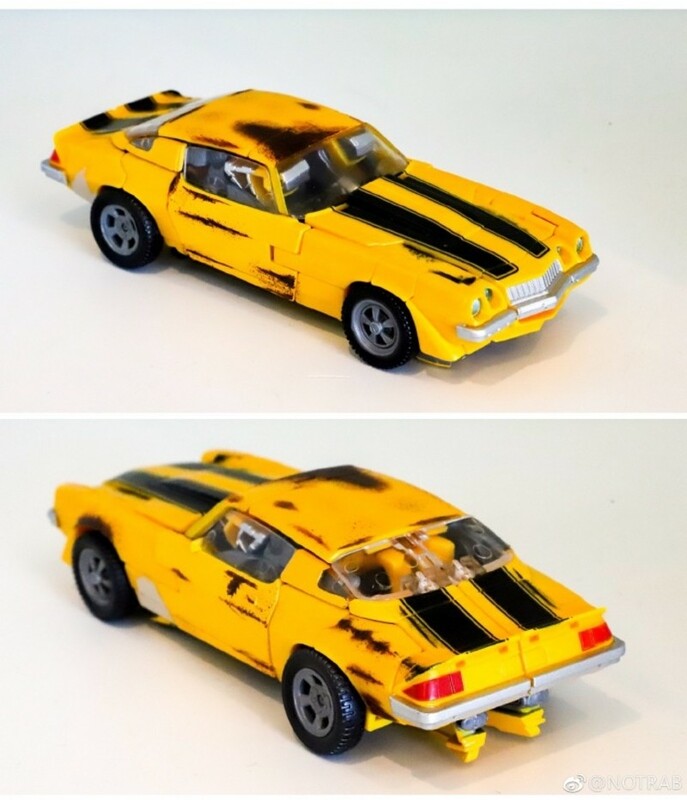 When I was first transforming him into car I couldn't figure out how to seperate it all (his car hood is sandwiched in there firmly) and I thought I was gonna break it which worried me but then made me think it would be accurate for that. 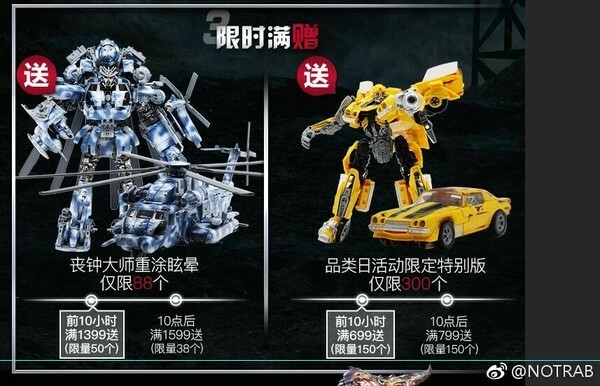 User NOTRAB on Chinese social media site weibo.com has taken some pictures of two new exclusive figures from China. Rusty Bumblebee and Camo Blackout are limited editon prizes for a Lucky Draw contest. 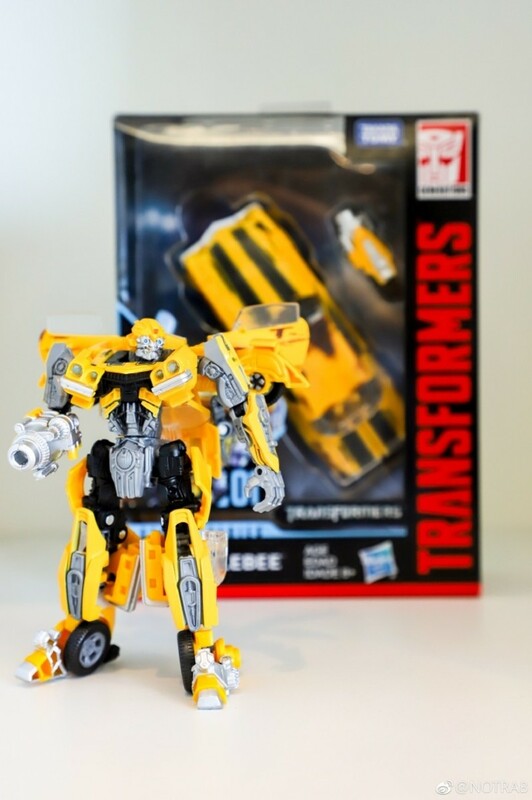 Customers who purchased items from Hasbro China's TaoBao store on May the 15th were entered to win one these exclusive figures. 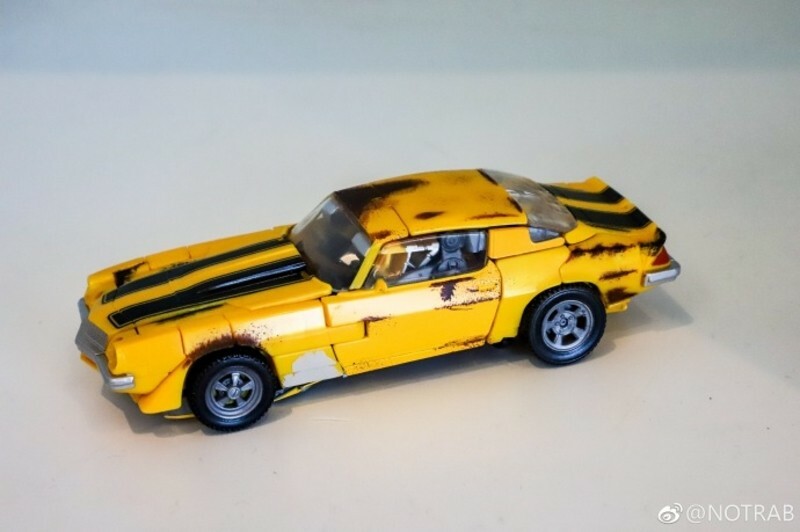 NOTRAB seems to have won a Rusty Bumblebee. 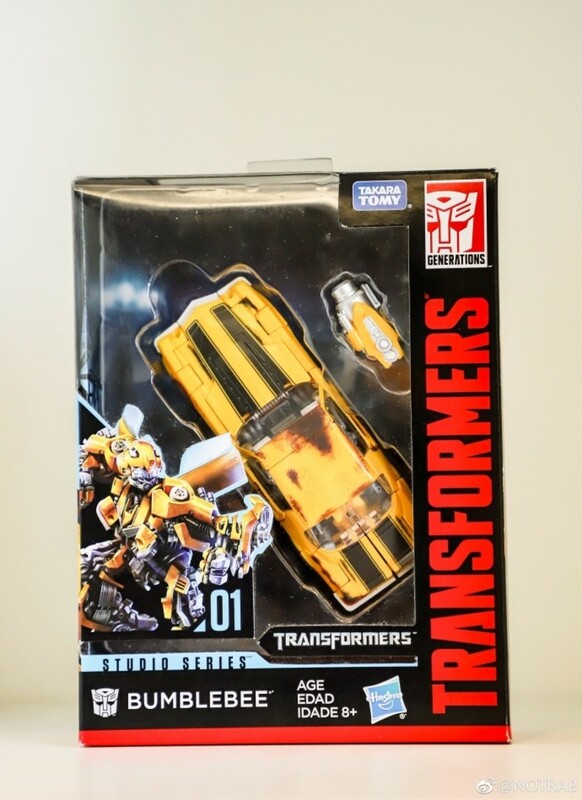 It appears to be inspired by how Bee looks in the first live action film when Sam Witwicky finds him at the used car lot. 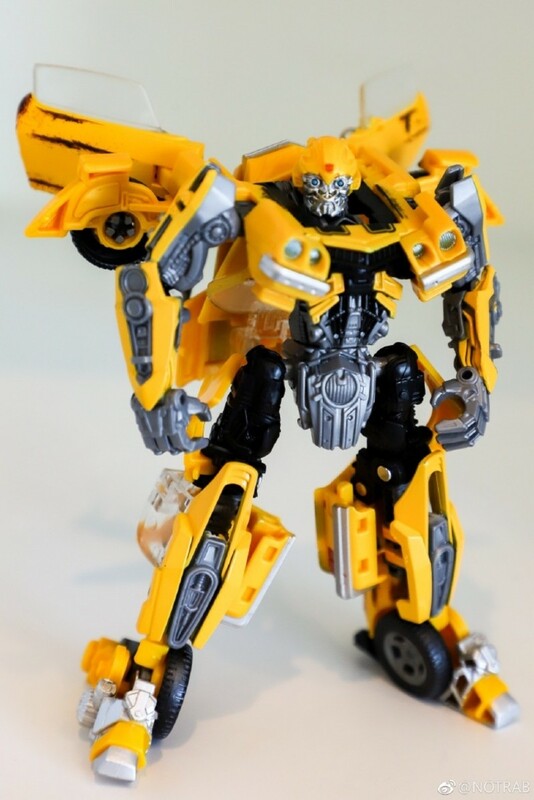 This Rusty Bumblebee is one of 300 figures. On the other hand there are only 88 Camo Blackouts made. Have a look below and tell us what you think of these figures. Would you want something like this in your country? "Rusty" Bee looks pretty good, actually. 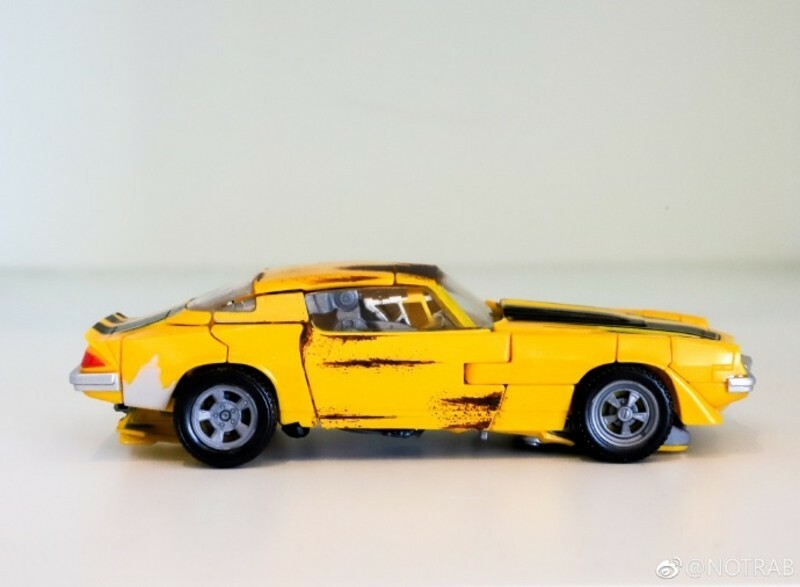 It's a way better attempt at matching the look of his "junker" alt mode from the first movie than the 2007 toy was with it's weird blackwash paint apps. "Camo" Blackout just looks odd, though. Does he actually sport a camo pattern in the movie? If so, it's not that bright or contrasted. Damn, once the contest is over, those will sell for a pretty premium. both look pretty good. I do wish the rust was brought forward a little more in Bee's robot mode. While I do like the idea of camo on Blackout, i'm not sure which military that's mimicking that's not a US camo pattern I've seen before. The original release is already "low vis". If anything a sand camo would have made more sense (considering where the military base was in the movie). That camo looks so awful I love it. I'd rather actually have that than the retail release figure! Bee looks really nice too. Too bad these will be EXPENSIVE on the after market. Maybe could do some kind of exclusive release for these, or a figure that looks similar? Probably not. Meh. The car mode looks properly neat, but almost none of the rusty detail carry over to the robot mode (pretty much just the doors). I'm quite alright not hunting down one of these likely insanely expensive exclusive. Why can't they get his size right? I still kinda want him, because it's an awesome design. I was even able to look past the weird wrists, and the arm kibble. But now add this to it and I'm just so disappointed with everything on the planet. Still getting that Megatron though. The Studio Series is making consistent movie accurate scales for characters throughout all classes. If Blackout is bigger, then Grimmlock is gonna be gigantic. Toy_Spectre wrote: The Studio Series is making consistent movie accurate scales for characters throughout all classes. If Blackout is bigger, then Grimmlock is gonna be gigantic. Impressive, right? 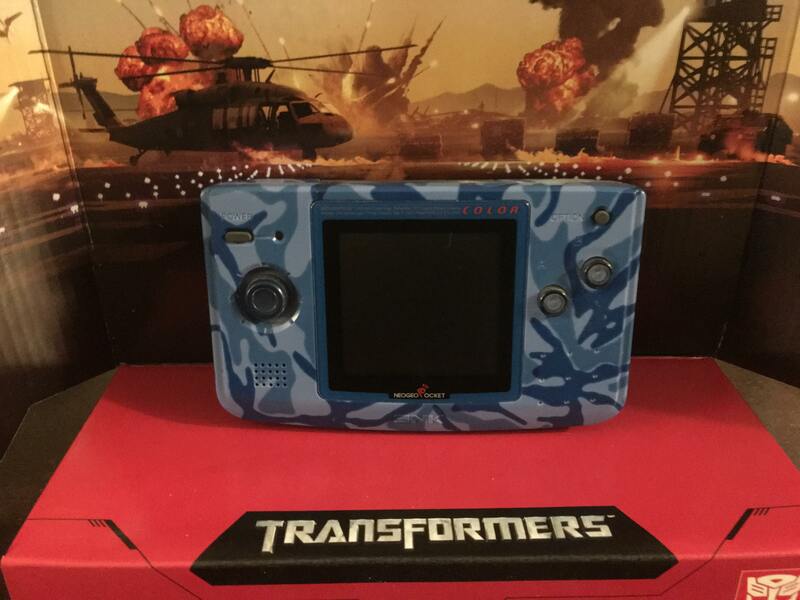 Man, it's going to be a pain finding one of these on the aftermarket! That game boy advance did not age well loljk. Scale for the 2007 bots seems pretty good going by this image. We need a new Studio Ironhide to complete the Autobot team.